As the pumpkin spice lattes and apples and honey come back into season, signaling the end of summer, Cincinnati college students head back to their respective universities with life-changing internship experiences administered by the Jewish Federation of Cincinnati. Two programs, Onward Israel and the Workum internship program, had a profound impact. Through Onward Israel, 24 Cincinnati college students spent their summer interning in Tel Aviv at no cost to them, thanks to Israel travel grants funded by The Jewish Foundation of Cincinnati and administered by the Jewish Federation. The students interned at companies such as Joy Records, Bat Sheva Dance Company, iTweet Live, and Liquee Technologies. Back home in Cincinnati, 10 Cincinnati college students participated in the annual Workum summer internship program. They interned at Jewish agencies all over the city, learning about our Jewish community behind-the-scenes, and gaining valuable workplace skills. This year, the program was under the direction of Sammy Kanter, the Jewish Federation’s Esther and Maurice Becker Networking and Mentoring Coordinator. 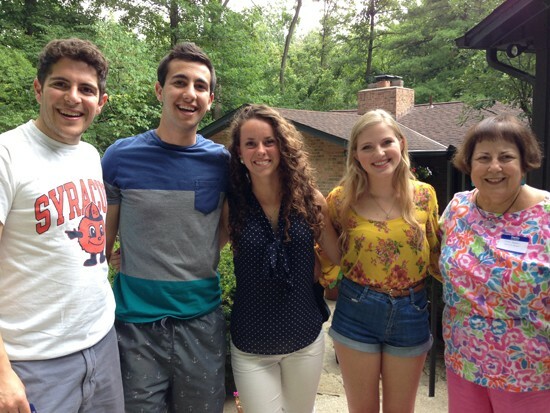 Under Kanter, the program expanded to connect the students with Jewish young adults and the city of Cincinnati. The Workum interns participated in networking events with other interns across the city and a special workshop with JVS Career Services. The Jewish Federation’s Esther Becker Center is now accepting applications for the 2015 Workum and Onward Israel summer internship programs. Workum interns had similar feedback.